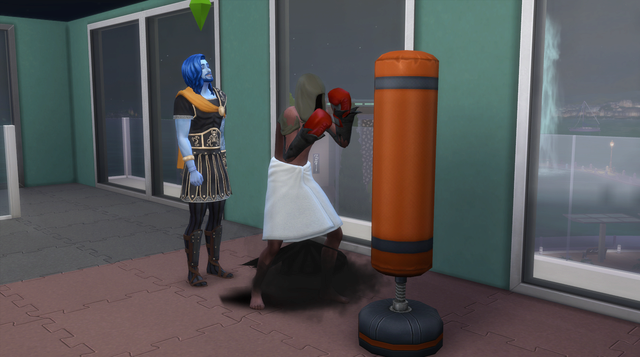 Random things happen in my game that may or may not be part of a story or challenge I am playing. Hope I can bring an occasional chuckle or share something interesting. He is back! 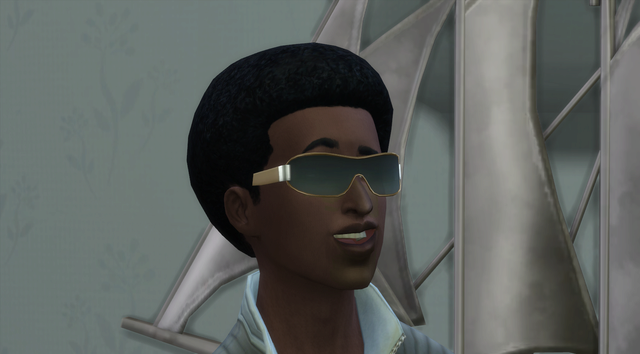 Yes it is true ... Percy McSage is back in action. 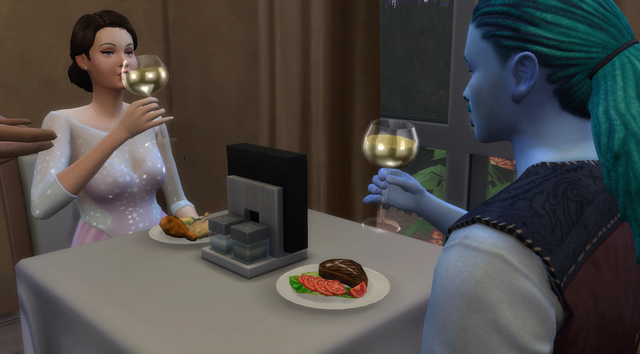 She seemed to seek him out wherever they were and they became very good friends. 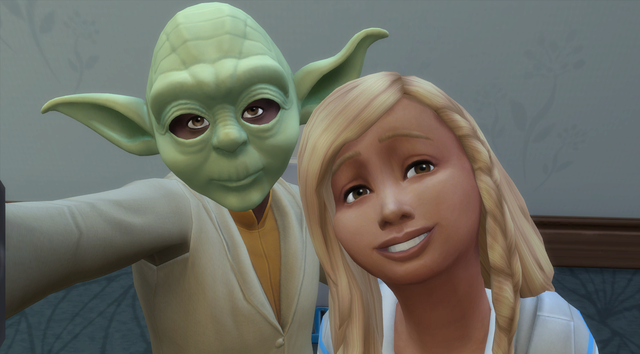 He decided to ask her to move in with him and their friendship grew. 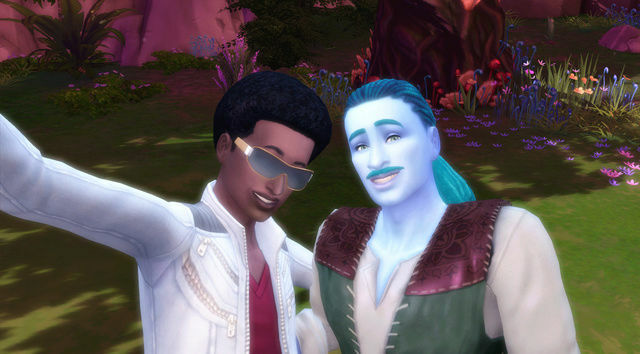 Flirting was awkward but successful so Percy took a chance and asked her to Marry him. Much to his chagrin she said .... No!?!? 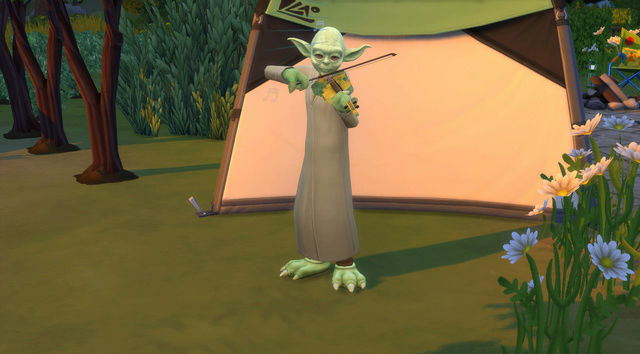 Guess he'll have to keep trying. Maybe he should be careful though. I've heard you can die of embarrassment. Well that's a set back. And such a nice looking chap too. What are they doing here. 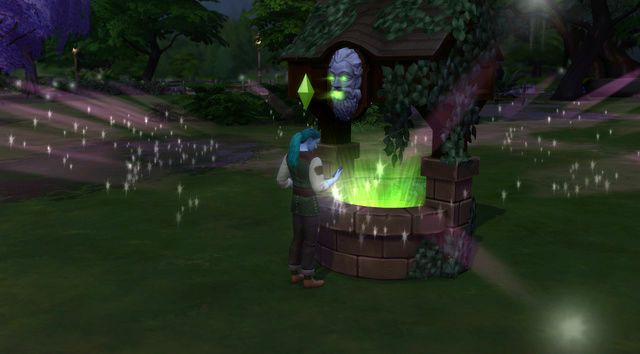 Making a wish at the Wishing Well from the Romantic Gardens pack. 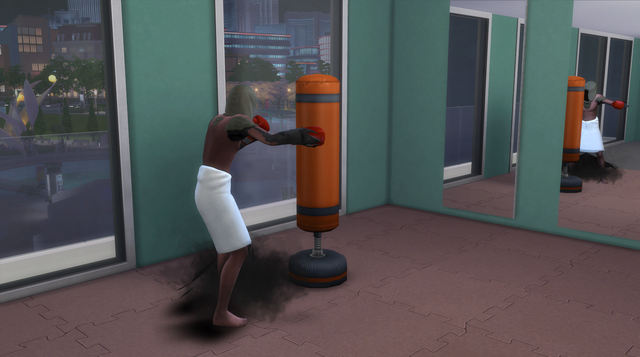 Roderick was at the gym and Grim decided to drop by for a bit of a work out. 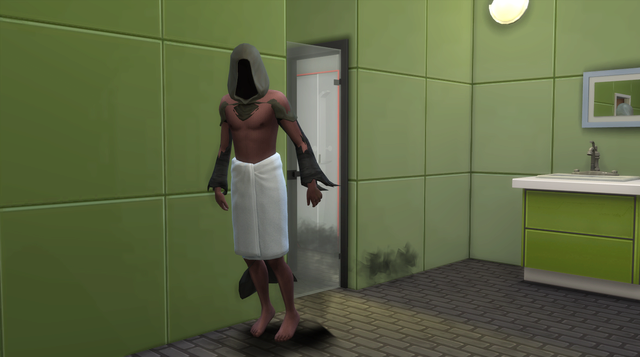 Reaping souls is after all hard work. 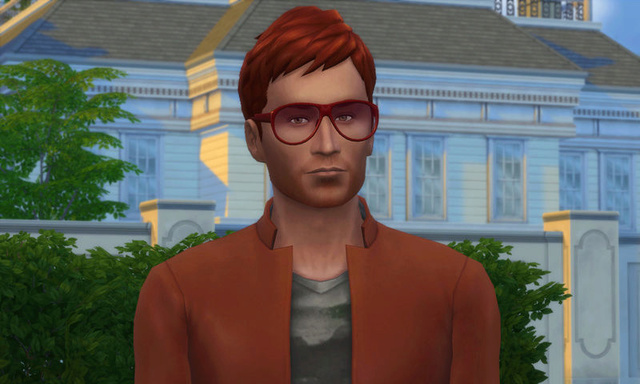 You may also recall Bella had a brother named Michael. 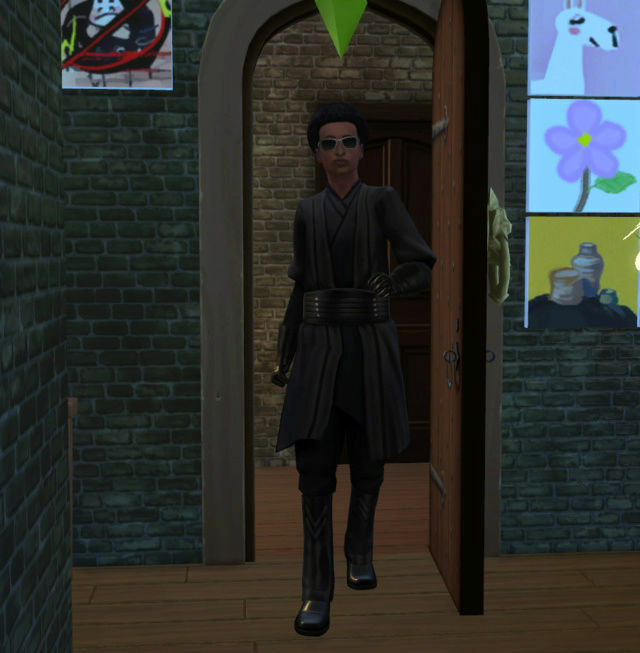 Miranda was added as a part of the Goth household and my Sim romanced her and made her pregnant. 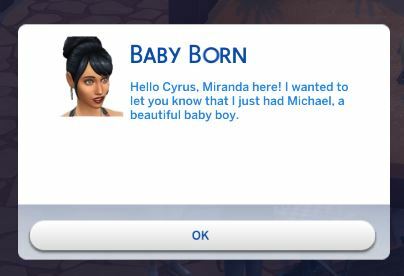 Imagine my surprise when Miranda called to tell Cyrus he was the Father of a baby boy named ..... Michael! 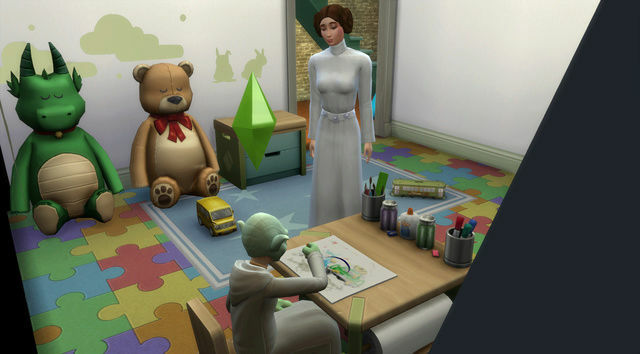 Nice story consolidation between The Sims editions! 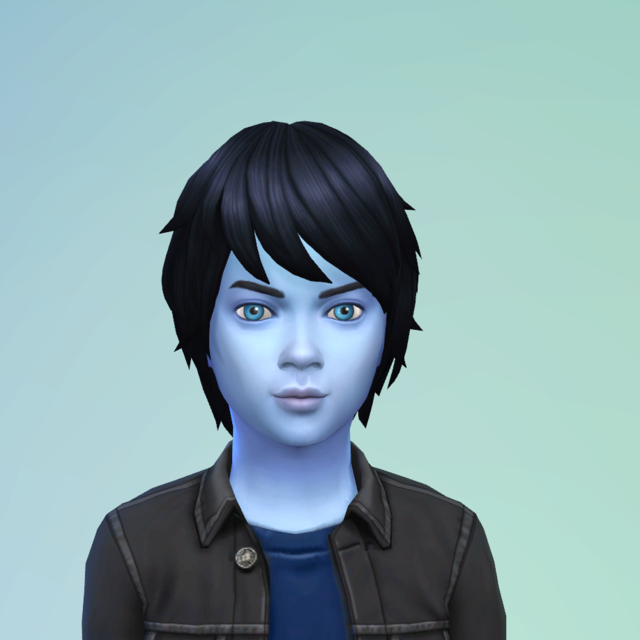 And she does look just like Bella! Cheeky. I agree with TheDallas. 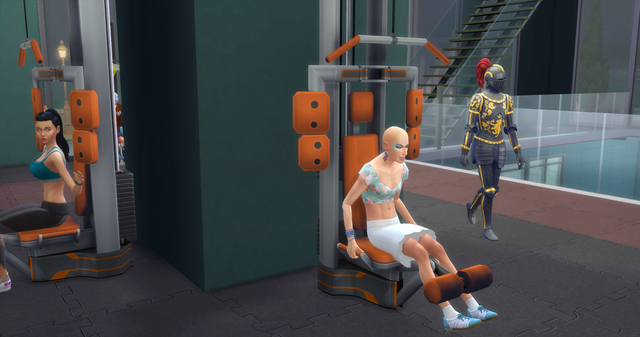 Liz's workout outfit is top-notch! 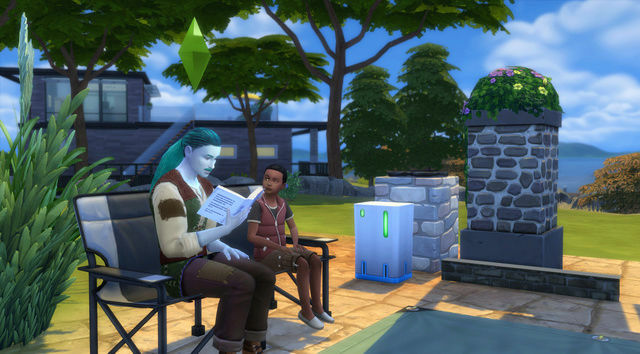 I also like the random Sims showing up in my game. 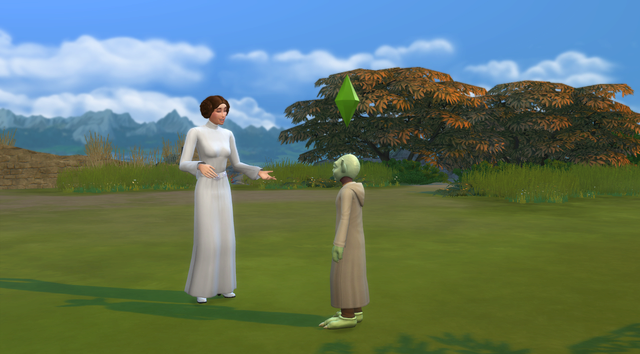 But I've been getting clones showing up and find that confusing at first. Tell self to look for the plumblob. 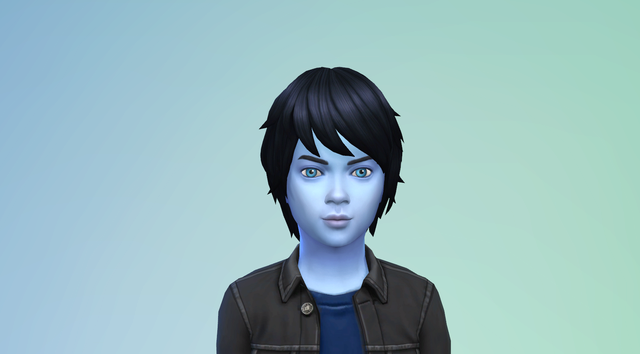 Olie Sirat was the first and had another clone of a sim I was playing show up the other day. That did cause a moment of panic. What fun!! Go Liz Go!!! 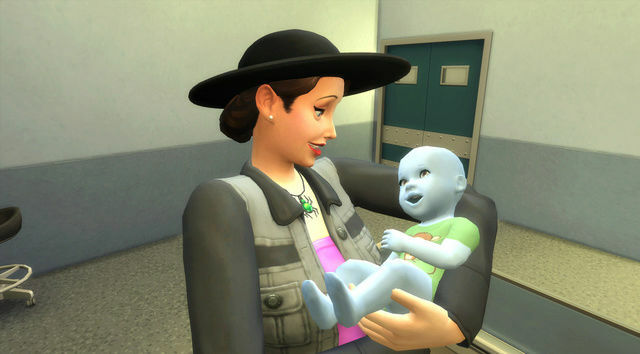 Sims 4 Parenthood includes the opportunity to volunteer for various causes. 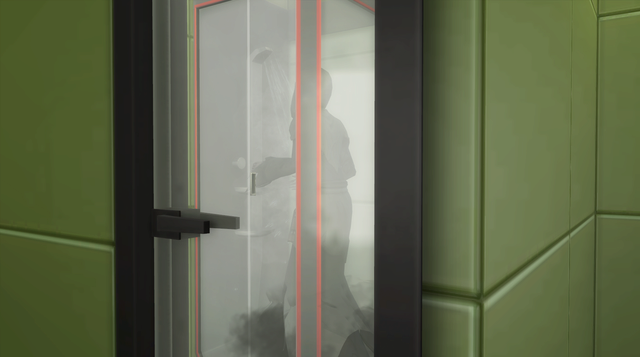 Apparently instead of making a Mean Sim feel all warm and fuzzy it leaves them a bit hot under the collar. "Had to Help! 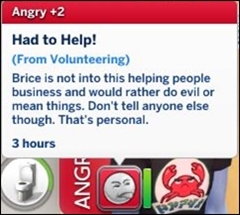 (from Volunteering) Brice is not into this helping people business and would rather do evil or mean things. Don't tell anyone else though. That's personal." Hope to play some more to experience some of this stuff. 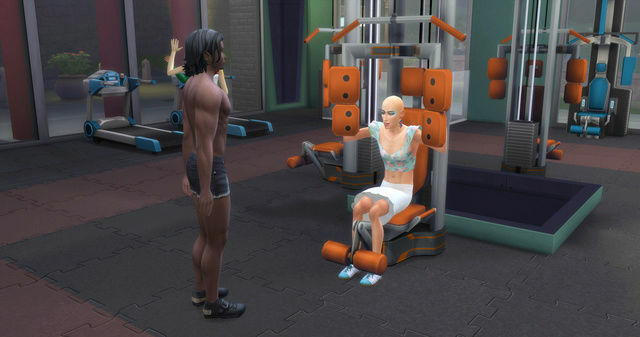 I was playing my Puny to Powerful TS4Fitness Mini Challenge. That meant spending a LOT of time at various Gyms. 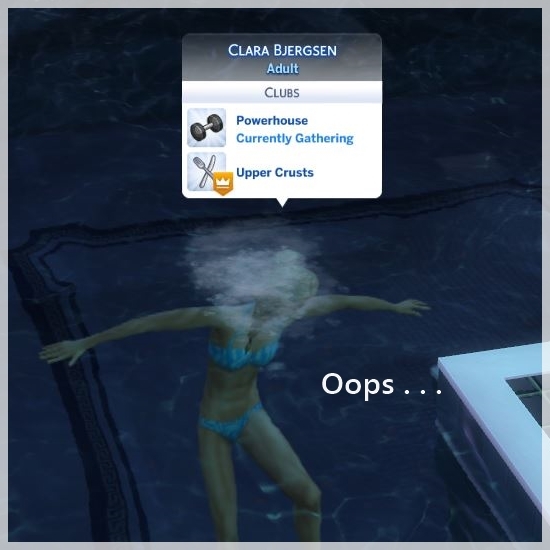 Guess Clara Bjergsen (Townie) did not get the memo to stay out of the pool when exhausted. Where are the lifesavers when you need them? Poor woman. I know what you mean. 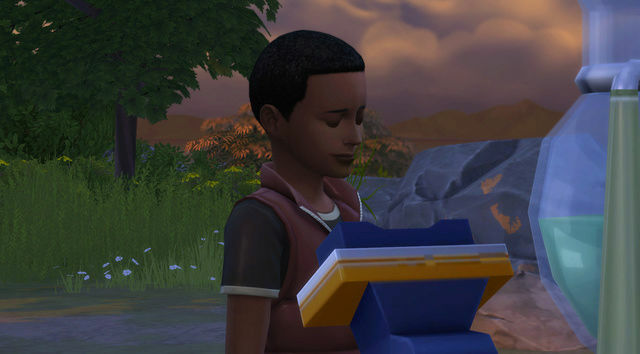 There should be an "attempt to save" a drowning Sim. 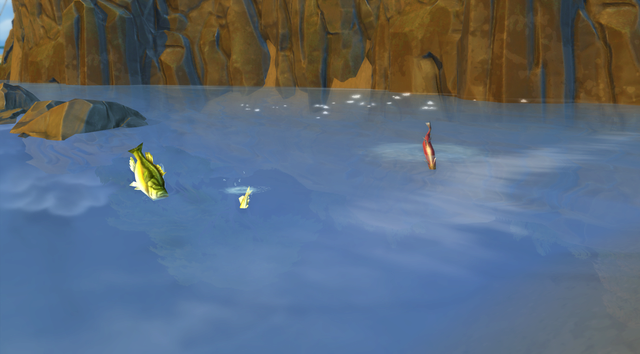 My luck I would try it and my Sim would be pulled under and drown in the process.